I was nervous to make these, because I didn't have a clear direction, but I'm so happy with this project! Fairy Houses were on the menu for today. I was originally going to buy a little wooden birdhouse & fix it up for our Fairy Garden. But then I loved the idea of using what we already have on hand. 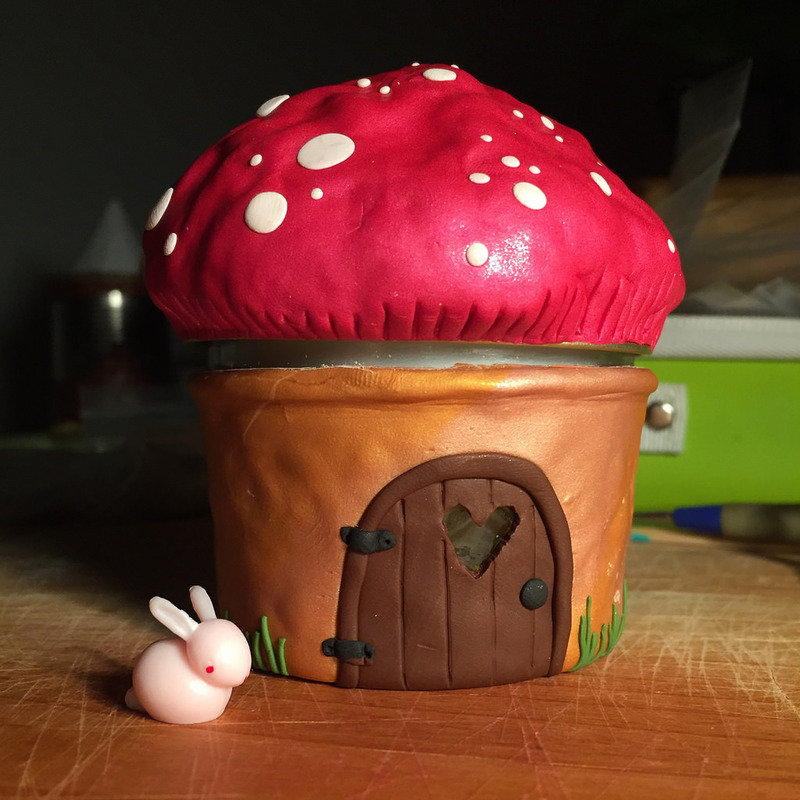 I was totally inspired, & pretty much copied the concept of THIS fairy house made from a jar. I used a tiny jar you would use for making jam or canning---the kind with the lid + ring. I used THIS idea from YouTube for making the rooftop, which is made with clay covering foil that has been shaped into a mushroom. Wednesday was National S'mores Day. 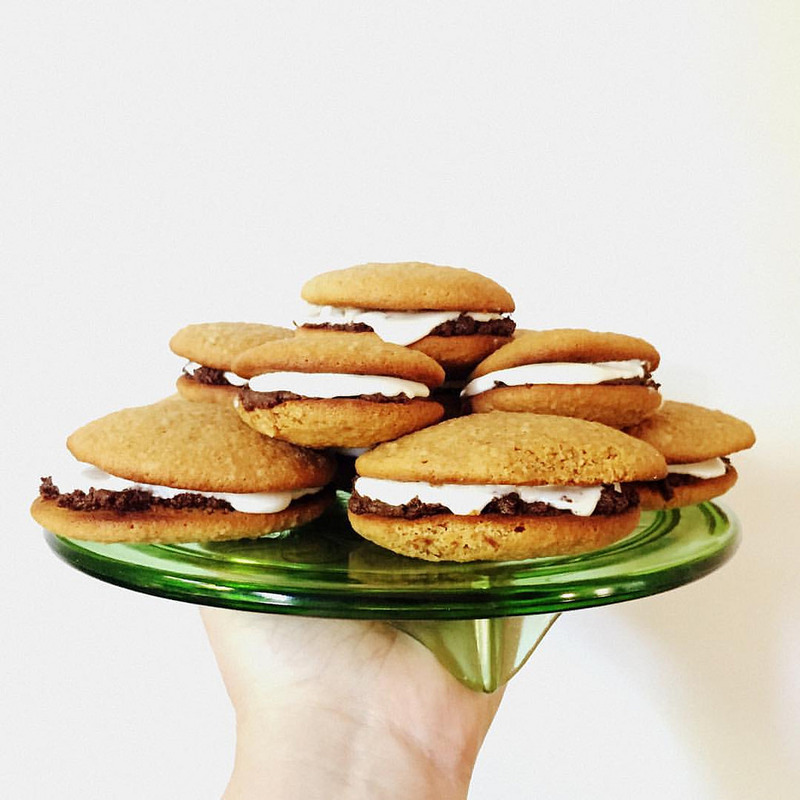 So I found a recipe for S'mores Whoopie Pies. The graham cracker cookie part was to die for. I could seriously just eat a whole batch of those. The recipe I used is from Easy Peazy Mealz. Not sure why, but I had TONS of marshmallow fluff buttercream frosting left over. And I messed up on the chocolate---heated it a tad too much so it turned a weird muddy consistency. But, no one complained + the whoopie pies were eaten up lickety split. I got to check something off my Summer Bucket List today: Set up a recycling station. 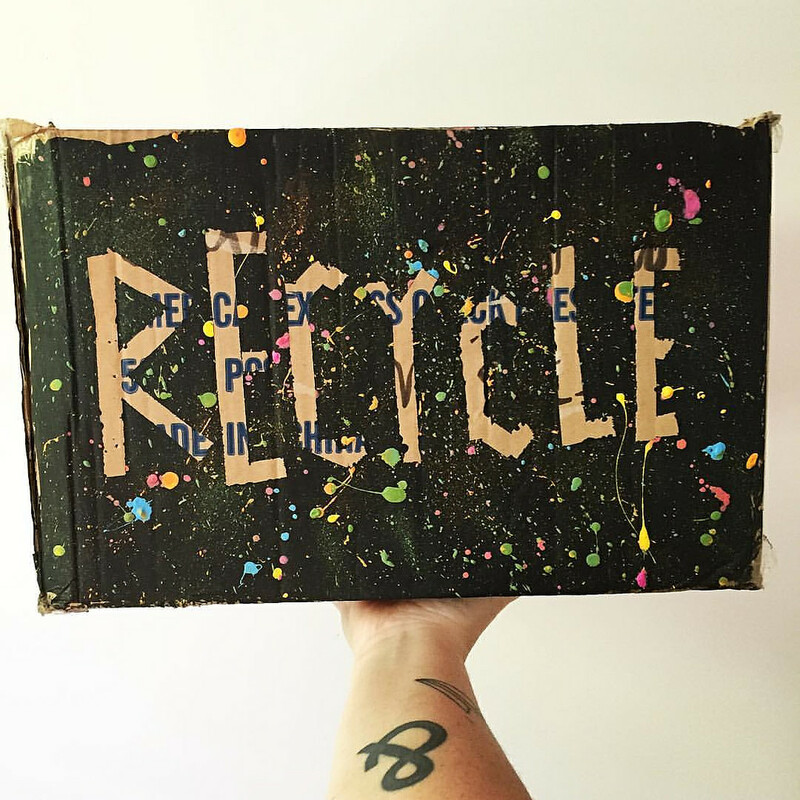 Which is basically a box the girls & I recycled. We slapped some paint on it & it sits in our kitchen where we toss in recyclables & will take them to the community recycle dumpsters every couple weeks. The city has free pamphlets & information about recycling, so we feel pretty educated on the subject. 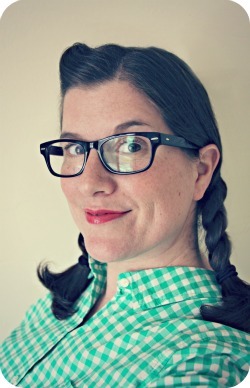 This week the fun had us heading over to Goodwill thrift store. I let the girls go wild with $5 each. Pazely shared some of her cash with Zoey, who found a penny skateboard. Pazely found a locker shelf, which was cool because she was JUST talking about wanting one for her school locker. The girls & I have decided that, though there are two full weeks left of summer break before school starts, our last week of summer school will be next week. I am not sad at all. Our weekday Summer School activities have been simple, but everyone is fading. Not as excited as they were when we started. It'll be perfect. We can get back into a routine of normal bedtimes & wake times, get all the little details of school situated before it actually starts. 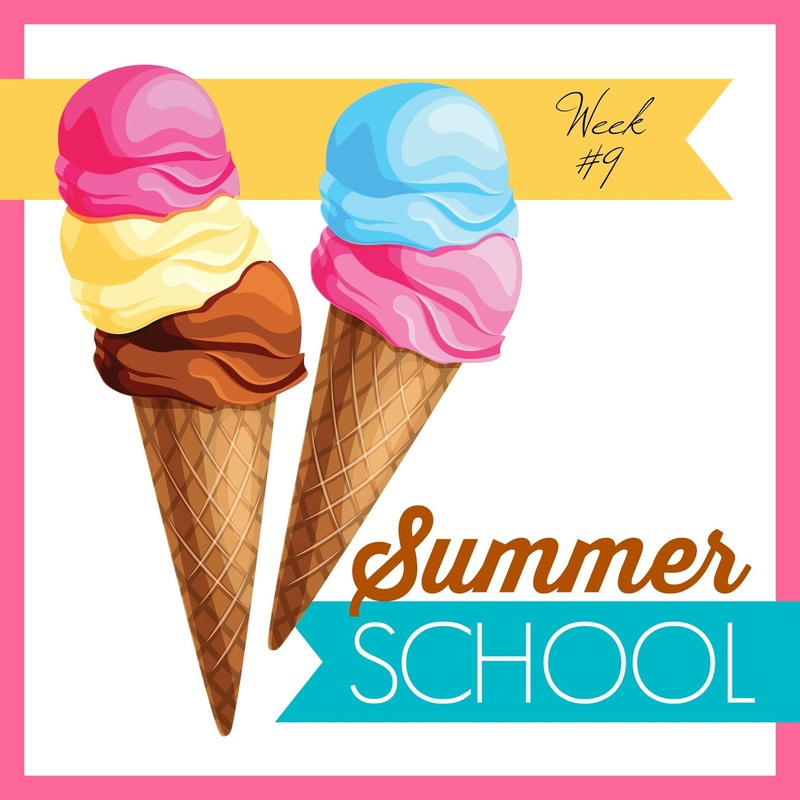 So, we'll see you Monday for our final Summer School weekly recap!